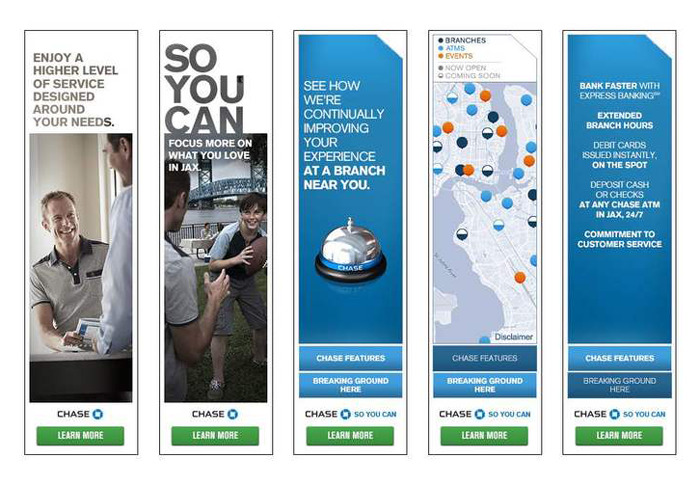 Chase wanted a completely localized, 360 degree campaign to promote their new branches in Jacksonville, Florida, where they had a non-existent presence and lots of competition. Beyond engaging the city of Jacksonville for a successful launch, Chase wanted a framework they could replicate in the future for expansions in other targeted cities. 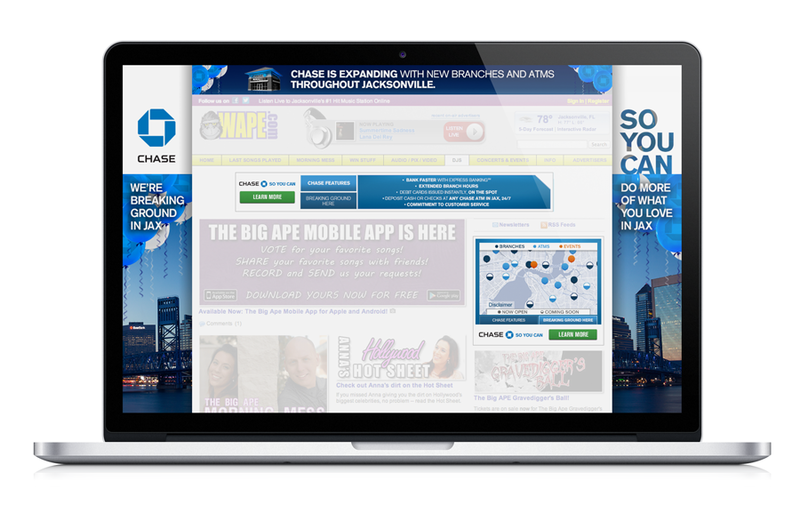 I worked with the digital team from concept through design production to develop an immersive and informative site experience, a series of rich media, site takeovers, online and mobile banners, along with event and experiential concepting. and pre-pro for the photo and video content shoot.